Previous Post : Buying Twitter Followers: How and Why not? The latest trends in digital marketing are something you can’t ignore if you’re trying to be successful in the digital space. Just when you assumed you learned all the intricacies of SEO, it evolved even more. Do you find your website lagging behind even after spending a lump-sum amount of money towards SEO and other online marketing services? Well, what you’re trying to deal with is a fast dynamic landscape and to keep ahead of your competition, you need to keep up-to-date with current trends, technologies and strategies. Here are the top digital marketing trends leading to the financial year 2019-20. Search engine algorithms have changed a lot during the last few years. 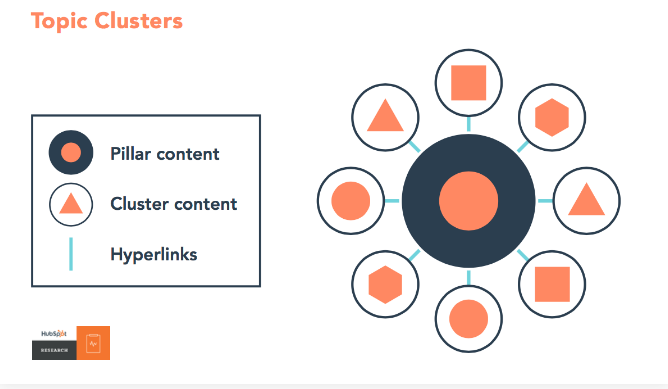 If you wrote your website content by stuffing it with all kind of keywords a decade and a half back, preference is now shown to clusters of content built around specific topics (called Pillar Pages). Let’s try and make it simpler. So, cluster pages are fundamentally content that focus on sub-topics related to the main topics on the pillar page. While the pillar page embraces all the features of the topic on an individual page. For example, my pillar page might discuss ‘Beaches in Australia’ as a whole, while its cluster pages will focus on long-tail keywords like, which is the largest beach in Australia, how long will it take to explore every beach in Australia or learning to surf in Australia. Whatever I write under this topic will be linked back to its pillar page and vice versa, with the same hyperlinked keyword. Meaning? If one page shows a better result, the entire cluster gets rewarded. Snack ads are videos under 10 seconds. As a result of the abundance of video content, our eyes are trained to avoid ads while reading something online or to press the ‘skip ad’ option while watching a video over YouTube. This led to the shorter version of ads, known as the Snack ads. Expect to see shorter ads in the near future, because by the time a 60-second video ends, almost half of its audience might have lost interest. Chatbots will be a sure hit during the upcoming fiscal year especially because of their effective way of mass communication. They also allow business to do two-way communication with their audiences around the clock. Timely assistance to customer queries will also help you in improving your SEO. There is also a chance that more people might recommend your service if you keep your customers happy. Email marketing still continues to be a major communication channel for brands. However, email marketing techniques are slowly changing with generic marketing emails getting less effective. It is now a combination of automation with personalised content that serves the purpose. With the advent of Siri, Google voice and Amazon Alexa, verbal interaction with your device is ever popular. However, it brings out some interesting challenges to marketers. For example, when a person is conducting a voice search and the device replies verbally, it may only provide the user with a few results or in most cases just one choice. This means that optimising SEO to voice searches is going to take a different approach. And as a marketer/business owner you can’t ignore this new trend since more people are relying on it. For example, write your meta-descriptions optimised for speech and not the old drier style used for text-based queries. Take measures to implement these 5 digital marketing trends to your 2019-20 marketing plan to be miles ahead of your competitors. Next Post : How live chat gives you better customer service.